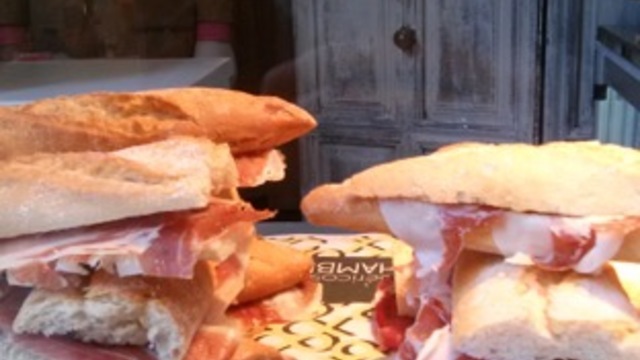 When we speak of Iberic Ham and Serrano ham, we talk about of two very different products. 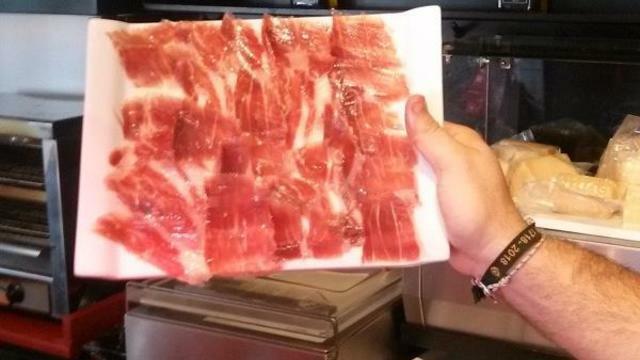 Spain is the world reference of the Best Ham of the World. It is a culinary gem, acclaimed by the greatest gastronomic names and the leading foods critics wordlwile. It is served in the most prestigious restautants in the world. But. 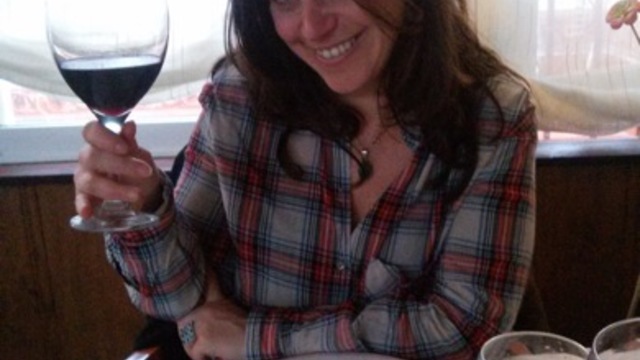 . . a good Jamon deserves a good wine! Among the most suitable wines we mention those of Granada, Rioja, Ribera del Duero, or according with expert, is an unbeatable with sherry. 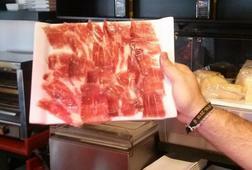 Speaking of Jamon and Wine in Spain is speaking of Cured Cheese and of course the liquid golg. . . the extra virgin olive oil! There is nothing better than discovering that tiny restaurant on a side street packed with locals and trying delicious gourmet Tapas that you can't find back home. 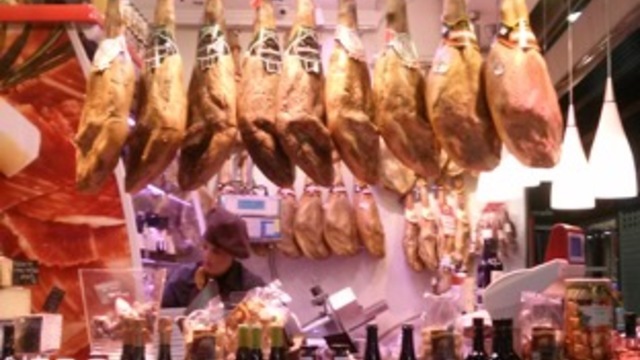 This tour is designed for the food and wine LOVERS. 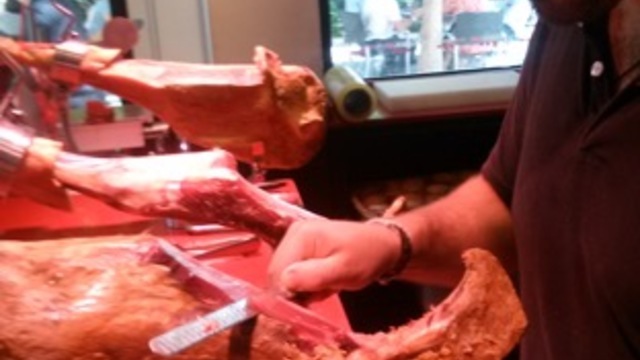 Book this tour and become an expert in the most exquisit flavours in the world! 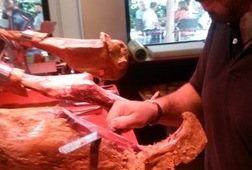 This tour includes: my services, knowledge and advice to buy the Iberian products. 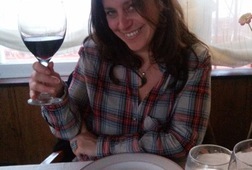 4 glasses of wine, beer or refreshment and 5 tapas per person. 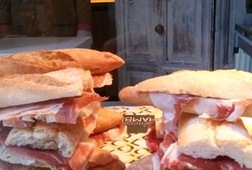 A portion of Iberian "Jamón", Serrano Ham and cured cheese. Please note: I do not have any agreements with bars, restaurants or gourmet shops. *** I can create a customized tour for you in case you have special requests or if you are more than 6 amount of people.